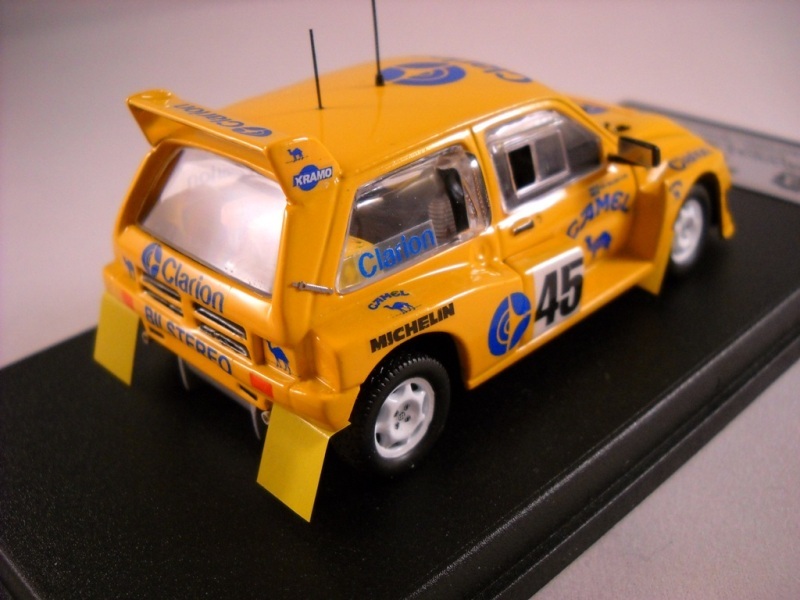 Lol, and Vitor makes some really nice rallycross models as well! Decals are also available here. I hope I reserved one? Very nice Vitor - as always! Can i order a set of decals aswell please? 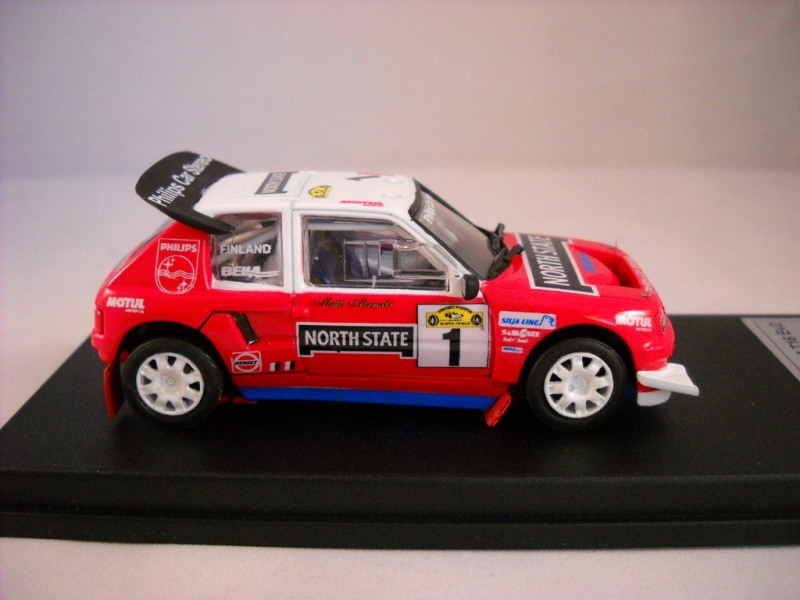 This one cames with some delay, but here it is: Peugeot 205 t16 Ev2, Matti Alamaki, rallycross champion 1989. This is one of 20. This one is already promise for someone here in the forum. 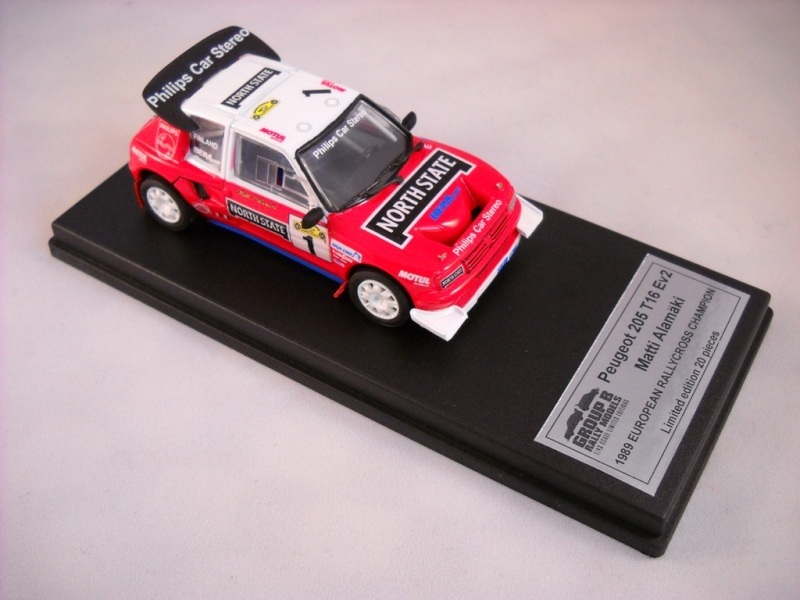 Group B Models wrote: This one cames with some delay, but here it is: Peugeot 205 t16 Ev2, Matti Alamaki, rallycross champion 1989. Very nice build that Vitor - quality work as always! 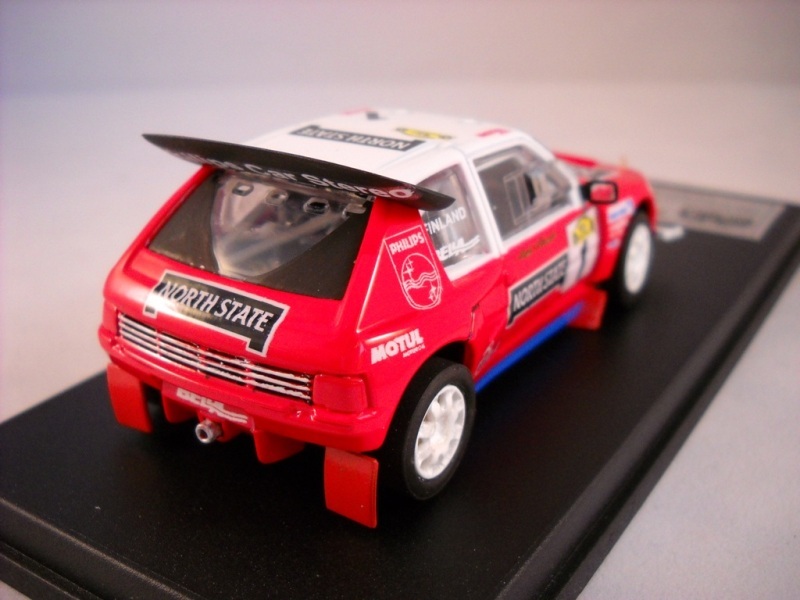 Can someone help me with a research I’m doing: I`m trying to build some group B cars, that run in the Middle East championship from 1984 till 1988. 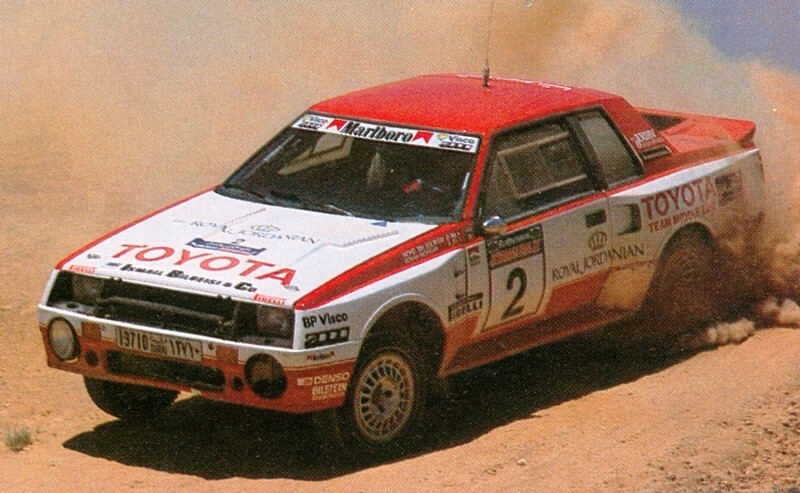 One of those is Bin Sulayem Toyota Celica Twin Turbo, from 1988, co driver Ronan Morgan (from Ireland). If anyone have pictures of this car or knows anyone that could have attend these rallys and taken some pictures, please contact me. No, i will build a later version. 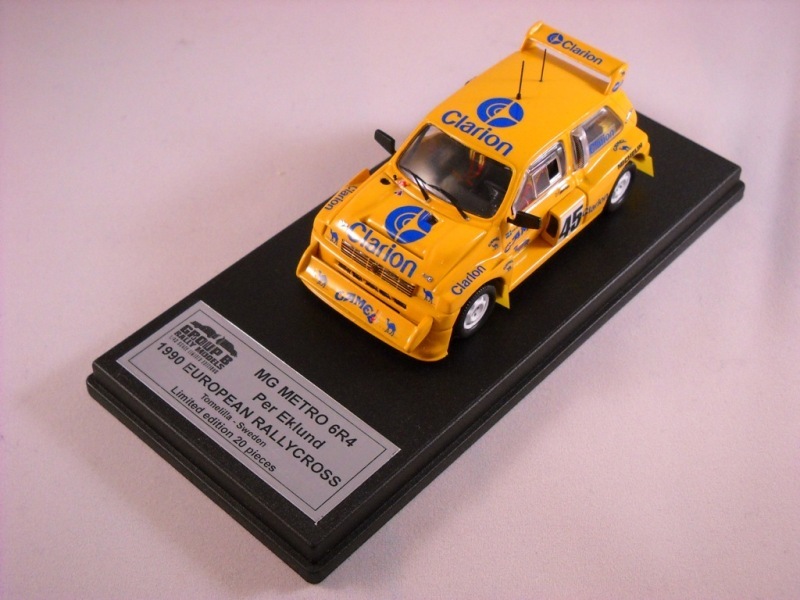 That one , the decoration was made by myself for a 1:24, Fernando Pinto from Bizarre saw it and ask it for the 1:43. This was 3 years ago.